The AMA Award Show Downtown, and Shimada at the Magic Castle. 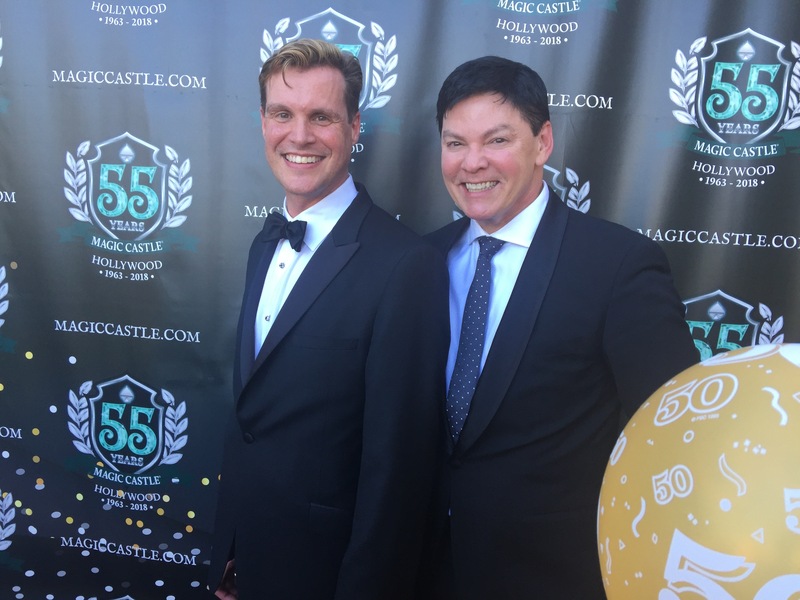 One of the delightful “extras’ to attending the Academy of Magic Arts recent Awards Ceremony on April 22nd was the opportunity to have dinner at the Magic Castle on Monday the 23th. Susan and I were in town to cheer on our dear friend Ray Anderson who was being awarded a Performing Fellowship at the Awards Night. 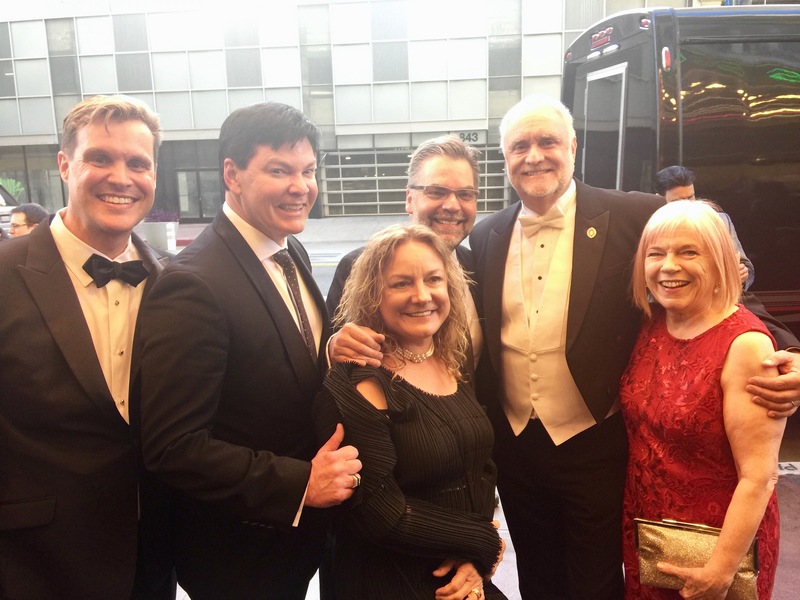 We formed our core little Texan group for the Castle dinner with Ray and his husband Steven Michael Miller and Mark and Sue Holstein. 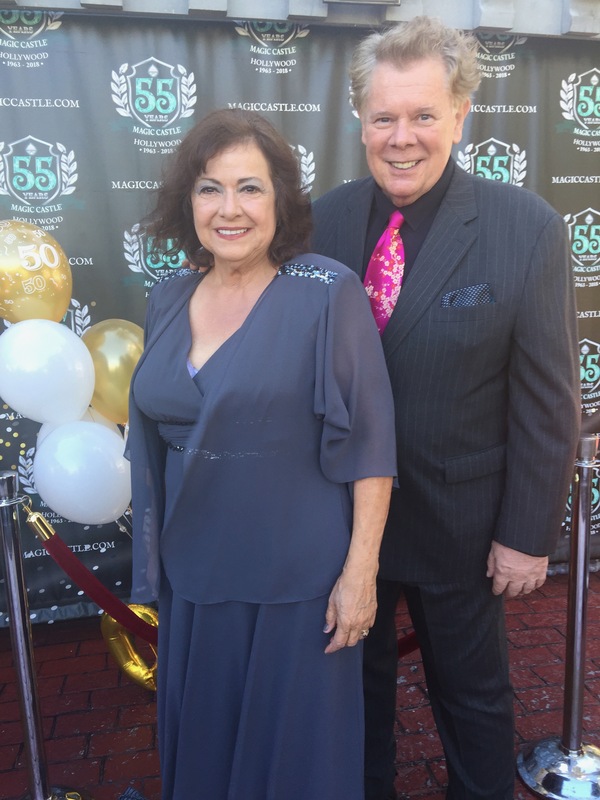 The Sunday night festivities had included a fun pre and after award show party at the Magic Castle in addition to the the highly enjoyable awards show at the delightful Orpheum Theatre in Downtown LA. Like all award shows this one ran a little too long. I must say that this one ran the shortest amount too long of almost any I have seen! Erika Larsen did a great job producing the show and her daughter Liberty kinda’ stole the show with her two vocal contributions.It was great to catch up with old friends from my Castle years. Having been a member since 1974 a lot of my early friends are now no longer with us, but the occasion gave one the opportunity to remember friends like Bruce Cervon, Billy McComb, Ron Wilson, Jules Lenier, Das Vernon, Charlie Miller and many others. There was also a fine assortment of old and new friends in attendance too catch up with and it was great to catch up with friends like, Johnny & Pam Thompson, John Carney, Paul Green, Marvin Roy, Mark & Nani Wilson and many others. Following a great dinner at the Castle on Monday evening, we caught the first of six special performances in the Palace of Mysteries by the legendary Shimada. What a joy to watch this master of his craft performing again at the Castle. 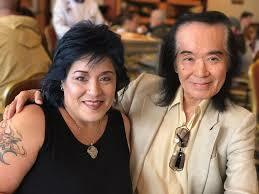 The very first time I saw him perform, with his partner Deanna, was in the very intimate Magic Cabaret at the Castle. They were a real eye opener to a young Brit magician. 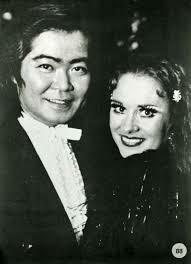 We went on to perform several times together, most memorably in Las Vegas and Hawaii and I will have to write a blog post about those two quite remarkable dates at some future point. But all those memories came rushing back sitting in the Palace of Mysteries watching the Grand Master perform. Did it seem the same watching Shimada without Deanna? No not really, they were truly one of the greatest equal partnership teams in magic. Sadly, Deanna is no longer with us and has joined my other dear friends who are now happy, vivid memories of when the Castle was younger, less well organized and even more fun. It was great to see the family legacy continue with the presence of Shimada and Deanna’s daughter Luna. She has the uncanny ability to remind me of both her parents at one and the same time, and that is one heck of a lot of charisma! 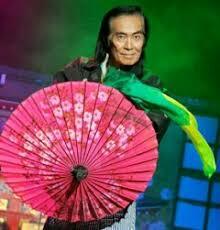 Shimada performed his immaculate manipulative and dove magic in the Palace that night. As fine and wonderful as his magic is, it has always been his unique presence and awareness of his uniqueness that have placed him in a different league to almost any other performer of his type. It isn’t the incredible and flawless appearance of the dove that makes his act so special, it is the way he acknowledges the audience’s reaction to its arrival that stamps Shimada as being one of the truly groundbreaking and one of a kind sensation. There is an indefinable class and attitude to his work and style that have left generations of lesser performers grasping for invisible straws if they try to duplicate it. It was great to see the 77 year old master at work, drawing gasps and applause as if they were a birthright. Maybe they are. Well, it was a wonderful couple of days in LA and hat’s off to everyone involved with the Award Show (Thanks for the shout out in the script David Regal—a ’70s picture of my with a tightly curled “Afro” hairstyle earned me a nod from host Larry Willmore as an early inspiration to other African American magicians!) and the entire Magic Castle team who proved that you really can improve on every aspect of a classic nightspot without improving it totally out of recognition! I also must thank Ray Anderson, because I certainly wouldn’t have made the journey from Austin, Texas to Hollywood except to watch him accept an award that he so richly deserves. For quite a few years now I have been firmly of the opinion that Ray is the finest illusionist/magicians on the contemporary scene. 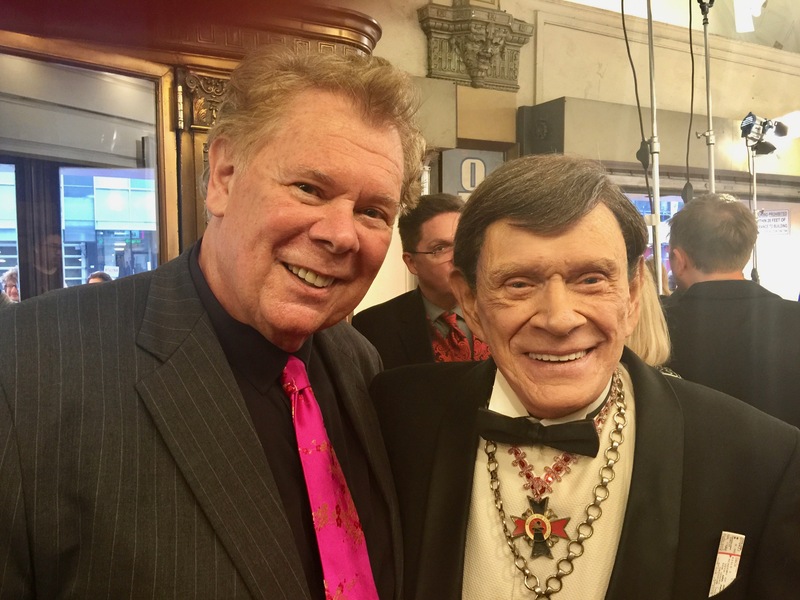 If you have never caught his peerless work then I suggest you book a ticket to Austin and catch him in his 30 year performing home “Esther’s Follies” on 6th Street. Just like Shimada, it does a performer a power of good to be able to settle back in their seat and watch a true master take our beloved art form and send it soaring through the stars. ~ by Nick Lewin on May 4, 2018.